If you're missing one or more teeth, you may notice a difference in chewing and speaking. A bridge may be used to replace missing teeth, help maintain the shape of your face, and alleviate the stress in your bite. There are two types of tooth replacement: fixed bridge and implant. A fixed bridge replaces missing teeth with artificial teeth, looks great, and literally bridges the gap where one or more teeth may have been. The restoration can be made from gold, alloys, porcelain or a combination of these materials and is bonded onto surrounding teeth for support. An implant attaches artificial teeth directly to the jaw under the gum tissue. A small titanium fixture may be used to surgically place the implant in the upper or lower jawbone to replace the root of your missing tooth and provide an anchor for a crown. The success of any bridge or implant depends on its foundation "the other teeth, gums, or bone to which it is attached. So it's very important to keep your remaining teeth, gums, and jaw healthy and strong. If you have missing teeth, it is crucial to replace them. Without all your teeth, chewing and eating can destabilize your bite and cause you discomfort. 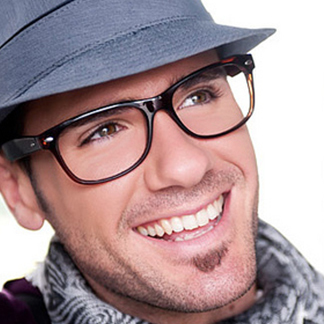 Implants are a great way to replace your missing teeth. An implant is composed of two parts that mimic a tooth's root and crown. The implant's root is a titanium steel rod that is placed into the jaw bone and acts as a root. Once the rod is in place, a crown is then attached to it to replace the top part of your tooth. You now have an entirely new tooth made of steel and porcelain, and it will look just like your natural tooth.